Salt Lake County residents voice their complaints about a proposed tax hike, Salt Lake City welcomes immigrants, and a former state legislator switches parties. Astronomers at the University of Utah are looking for people to help identify distant stars, Utah’s Attorney General leads a delegation to Washington D.C. to discuss immigration reform, and Governor Herbert meets President Obama to discuss the fiscal cliff. On the second anniversary of the state’s creation of the Utah Compact an agreement between local businesses and organizations that envisions a compassionate and economically positive solution to immigration reform, retiring Utah Attorney General Mark Shurtleff joined Utah business leaders this morning at the Salt Lake Chamber for a roundtable discussion on how Utah’s congressional delegation can push real immigration reform on the federal level using the same principles espoused in the Utah’s compact. Democratic Gubernatorial Candidate Peter Cooke gathered leaders from Utah minority communities Friday to outline his policy on immigration in the state. Cooke praised leaders from the state’s Hispanic, Asian and Middle Eastern communities among others. He pledged he would restore the state Office of Ethnic Affairs and pointed to the Utah Compact as guide for how his administration would handle immigration policy. 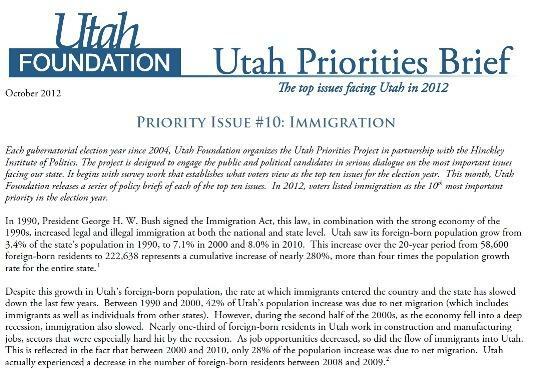 We reach number two on the list of Utah voters’ priorities, State School Superintendent Larry Shumway gives his last speech, and the legal battle over Utah’s immigration enforcement law could soon come to an end. The long drawn out legal challenge over Utah’s immigration enforcement law House Bill 497 is nearing its end. US District Court Judge Clark Waddoups could rule on the so-called “show me your papers law” any day now. 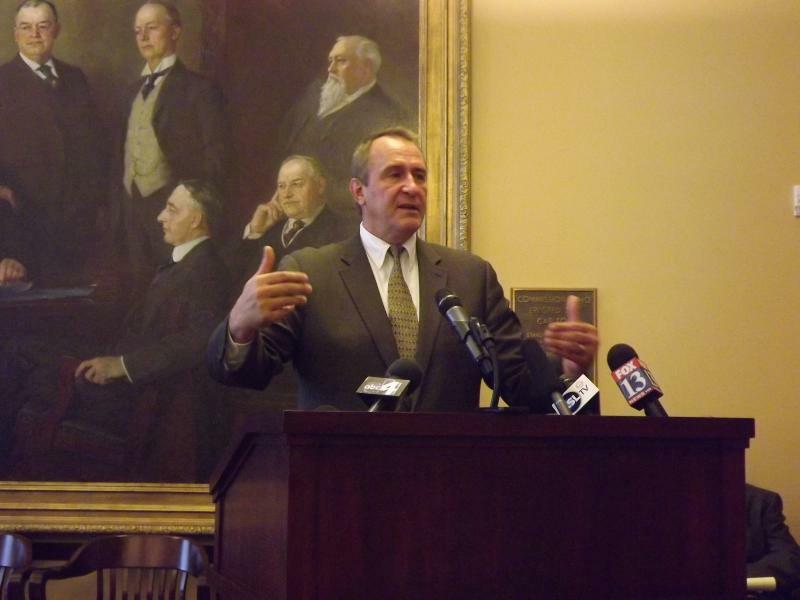 Utah Attorney General Mark Shurtleff gave an update at a meeting of the state’s Commission on Immigration and Migration Wednesday. The non-partisan Utah Foundation surveys voters every election cycle to find out what issues concern them most. It's called the Utah Priorities Project, and KUER is presenting a series of programs examining these issues with the help of Foundation researchers. Talk to the candidates and they'll have a list of issues that they say their constituents respond to. But Utah Foundation President Steve Kroes says the Utah Priorities Project lets voters set their own agenda. Republican Congressional candidate Mia Love speaks at the Republican National Convention, her opponent Congressman Jim Matheson makes a speech of his own in Salt Lake, and Immigrant advocacy groups are holding deferred action status workshops around the state. A federal rule change went into effect this month allowing immigrants who arrived in the US as children to stay in the country and work legally for two years. 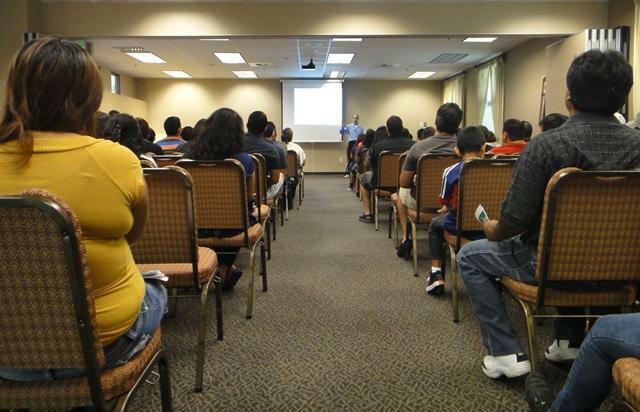 Immigrant advocacy groups are holding workshops all over the state to help people through the application process. The U.S. Supreme Court has ruled on Arizona’s immigration law, but the implementation of Utah’s similar “show me your papers” legislation - HB 497 - is still awaiting a federal court decision. The law gives police officers authority to check suspects’ immigration status, but immigrant advocates say the US District Court in Utah needs to consider racial profiling arguments that were not heard by the Supreme Court. 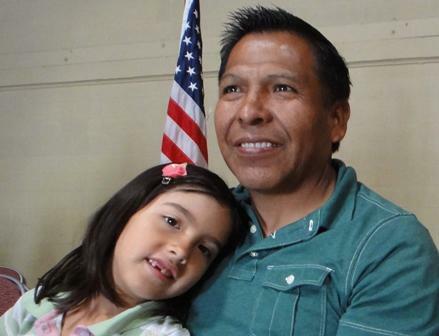 Utah immigrants responded with tears today after the announcement from President Barack Obama that undocumented youth would not be deported and would be given work authorizations. Brian Gutierrez works with the Salt Lake Dream team for the passage of the DREAM Act - proposed federal legislation that would create a pathway to citizenship for undocumented immigrants who arrived as children. While Obama’s executive order does not provide citizenship, Gutierrez says it’s a victory for immigrants.